With summer rushing towards its end, people are grasping those last opportunities to get a glimpse of the sea, embark on a hiking trip to the mountains or simply get together with their friends a laugh. SBT Localization team, however, still has to keep its own goals in perspective, that being to bring Ukrainization to as many worlds as possible. Stay awhile and listed how we fared this month. Streaming the games we helped translate is not just a fun activity but also an opportunity to test the results of our efforts. And so we have finished our Metro: Last Light run in June. Andrii Pekar has fought his way through the mutants, saving the world in the process. To commemorate this, we have had a special bundle giveaway at the end of the stream, containing Metro: Last Light та Metro: 2033. We then proceeded with Hand of Fate, given that it’s sequel — Hand of Fate 2 — is already translated and is currently being edited. The first Hand of Fate stream had Andrii Pekar and Tetiana Cherednychok testing their skills. The game proved to be so captivating that we decided to make the third stream as well, with Tenevyk and Tetiana Kaliuzhna. We have made another giveaway contest in Facebook this July, with the winner receiving a key for Baldur’s Gate: Enhanced Edition. Please note that all these contests are conducted once a respective goal is achieved Patreon. A new contest will be initiated as soon as funds accumulate once more. And now let us give you a quick rundown of the current state of our translation. The localization of Siege of Dragonspear, the expansion add-on to Baldur’s Gate: Enhanced Edition, inevitably moves towards its conclusion, we have reached the 85% mark at the time of this report. This leaves us with the remaining 15%, which is around 75000 words. Bohdan Peredrii was the most notorious warrior of our army, laying siege to the Dragonspear this June, with the help of Oleksandra “Cirilla” Kutsan and Tetiana Kaliuznha assisting as editors. The great Kingdom Come: Deliverance is under way. While only 5% has been translated so far, it should be noted that this project is even bigger thah Siege of Dragonspear. However, there is no doubt in my mind that we will emerge victorious, as we have the mighty Andrii Kozhushko commanding the attack. Any new recruits, willing to sacrifice their precious time for this effort are welcome in his platoon (provided they get a pass from SBT’s editor team. 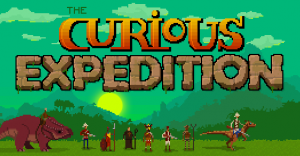 The Curious Expedition ponders along. The devs keep adding new material from time to time, which we have to account for. The translation is 65% done and we have Maria Polishchuk, Andrii Pekar and Oksana Bukanova to thank for that. It’s been 3 months now, but lo and behold, the Hand of Fate 2 dev team has finally found time to get back to us. It seems that it is not possible to simplify anything in regards to variables in the game, however we were promised that we can get our hands on the DLC as well. Meanwhile, editing is well on its course, variables keeping our editors awake and entertained. Yurii Bisyk has proven to be more than capable of withstanding their tricks. We did mention that once the current mystery project is done, it will be the end of such endeavors for a while. Well, it seems that we may still have to live under the NDA spell for quite some time. Just as we were done with one dark secret, another one has rolled straight at our doors. Given the we have a strict deadline this time, our attention and efforts will be focused on this project for the next few months, which, unfortunately, will force us to slow the rest or the projects down. We got ourselves some newcomers this July. May their spirits never fall. We thank each and every one of our Patreon supporters this month. May you and yours be well. 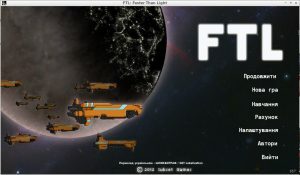 We also thank to Yurii Brehman (2$), «Drifters» (2$), Taras Syniuk (2$), Oleksandra Kutsan (2$), Andrii Kozhushko (2$), Maria Polishchuk (2$), Pavlo Donchenko (2$), Oleksandr Lukianov (2$), «Step» (2$), and Ihor Anisimov (100 грн). OUR SPECIAL THANKS TO IRYNA AND YARYNA FROM CROWDIN! Watch our videao report at YouTube.